Do you stuff yourself with food whenever you feel stressed? Instead of bingeing on those sugary cupcakes (and gaining weight), try these tips to relieve yourself from the pressure at work or at home. Buy a journal and start writing your thoughts. Putting everything you feel on paper, especially the ones that are bothering you so much, can help you release tension. Worried about something? Jotting down everything that’s stressing you out can help you see things from a different angle. Not those that will make you scared or depressed. Watch movies that’ll make you laugh out loud, movies that’ll make you feel better about yourself and everything around you. Go out with your family or friends–mingle with people who give you a sense of purpose and belonging. Try organizing family game night or have a girls’ night out this coming weekend. If you don’t like crowded places, you could have an adult sleepover and confide about whatever's stressing you out to your girlfriends. Getting enough sleep is essential to staying healthy and strong. Plus, it helps you tackle stressful situations better. If you find it hard to sleep at night, you could try taking a stroll or enjoying a hot shower before bed time. Charles Goodstein, MD, clinical professor of psychiatry at New York University School of Medicine in New York City, suggests you run, stretch, or join a boxing class. Any of them can help you release stress and improve your mood. Developing muscles and getting rid of unwanted baby fat are just extras. Yes, you read that right. 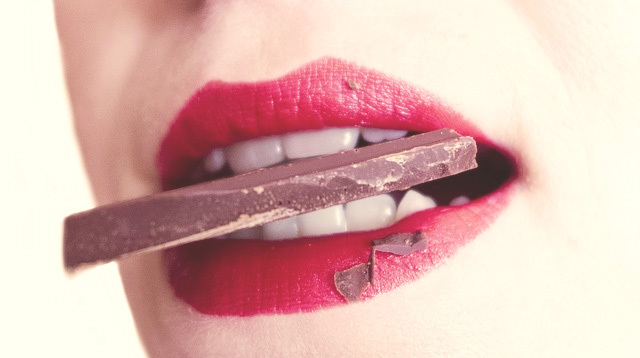 According to Reader’s Digest, chocolate is a potent endorphin-producing food and contains more than 300 different compounds, including anandamide, a chemical that mimics marijuana’s effects on the brain, and theobromine, a mild stimulant. Julie Holland, an assistant clinical professor of psychiatry at the New York University School of Medicine says that stress can be triggered when the body doesn’t know what time it is. "Exposing your retina to sunlight resets your circadian rhythm so your brain is on a schedule." Sometimes, all you need is someone you who would listen to you vent out. Getting things off your chest will help you calm down and keep things in perspective. It’s simple but effective. Closing your eyes while taking deep breaths can do wonders for a stressful day. It helps your mind and body relax. Try doing it several times during the day, and while you're at it, include some simple leg stretches, too, to get your blood moving.